If you live near a Rita’s Italian Ice, be sure to stop by TOMORROW (Monday, 3/20/17) for a FREE Rita’s Italian Ice to celebrate the first day of spring 2017! Tomorrow happens to be the first day of spring break for my girls, and we love going to Rita’s…so this is perfect. My girls love getting half and half cups…and my personal favorite is Swedish Fish. Yum! 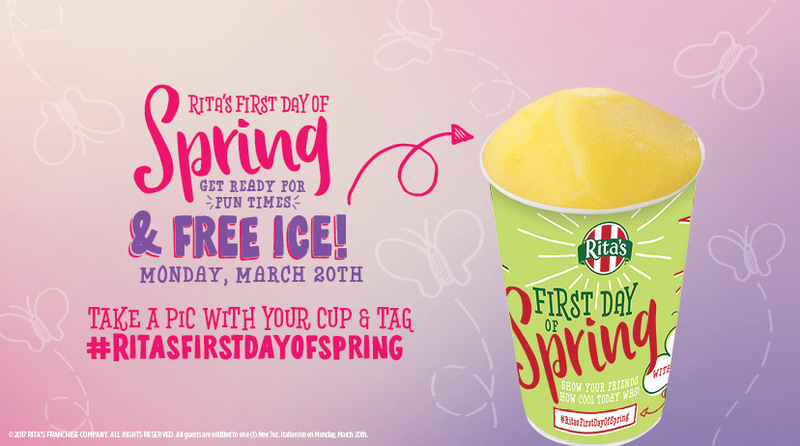 Also, this year Rita’s is celebrating 25 years of celebrating the first day of spring with a giveaway! Find a Rita’s Italian Ice location near you HERE.